This was the last week of our living with art classes. For this class we would be painting a canvas using tube acrylics. For this project we used a 12″ x 12″ canvas and the new DecoArt tube acrylics. Also, at the beginning of class I showed them some different styles of flowers that they could paint. I also said that we were going for an impressionistic loose look with our canvas. I love how each of their canvases turned out and I think you can tell they were happy with the results by the look on their faces. I love the twofold JOY that comes from art: the joy in creating your art, and the joy both you and others feel each time they look at your art. It was fun to do this series of classes with the kids. I think they all enjoyed the projects and I can see that they all improved in their skills, but I also loved seeing the sweet relationships that developed between them. I feel I need to share with you some of the things that I learned teaching these classes in hopes that it will be helpful to you. In the beginning I wanted to give them the freedom to paint whatever they wanted on each project, but I found it was better to give them some guidelines and some how to’s to do each project. For example when we did the shrinky dinks class, we were using flowers. So we talked about what would go good with flowers and then we took some time to draw those things so they could design the larger piece of the necklace. In the beginning I allowed two hours for the class, but found that an hour and a half was better time-wise for my younger students. I think the younger the student the shorter the class time. For some of the classes I could have used some extra hands, so if I did this in the future I might ask a parent to assist each week. 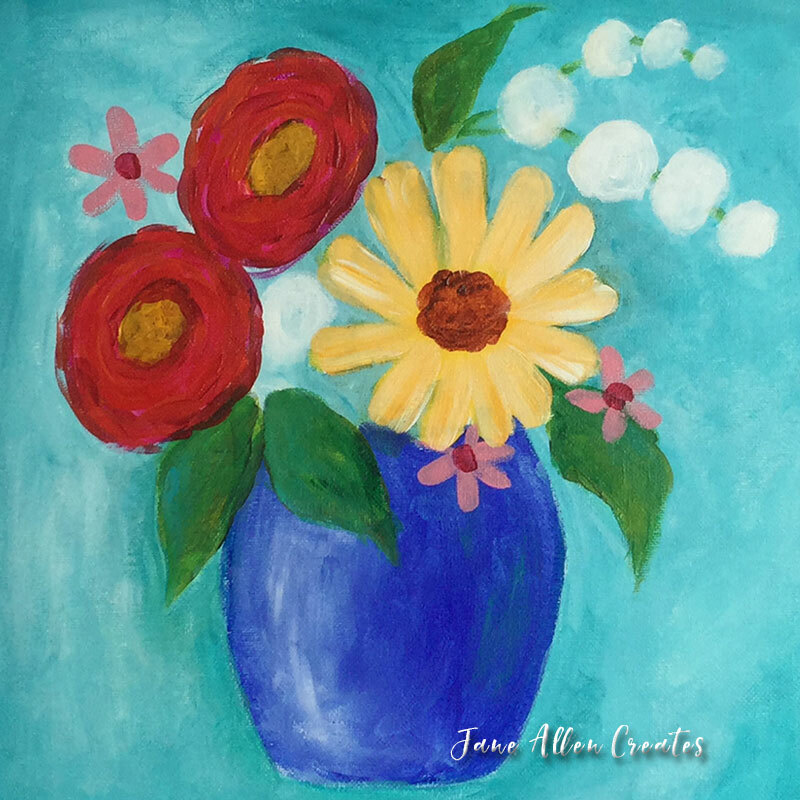 I hope sharing these classes with you will encourage you to share the love of art with others.